Avendus Capital advises Kancor Ingredients on its strategic partnership with V. Mane Fils. Kancor Ingredients Ltd. (“Kancor”), a leading producer of spice and menthol extract products and ingredients in India promoted by the Mariwala family, has formed a joint venture and sold a majority stake to France-based V. Mane Fils, one of the world’s leading flavours and fragrance companies. 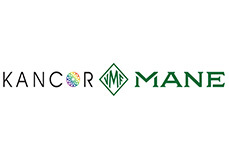 This strategic partnership between the Mariwala and Mane families will provide Kancor with a superior reach into technology and markets, while increasing the quality and reliability of supply for V. Mane Fils, and creating a unique high-technology hub for high-quality food & beverage ingredients globally. The business will be managed by the Kancor management team in India, consistently with the current organization structure. The terms of the agreement are not disclosed. Avendus Capital was the sole financial advisor to Kancor for this transaction. Kancor Ingredients Limited is one of India’s most prominent extractors, manufacturers and sellers of innovative natural food colours, ingredients, essential oils, spice oils and mints and menthols, owned and run by the Mariwala family since 1857. V. Mane Fils is one of the worldwide leading fragrances and flavours houses, run and owned by the V. Mane Fils family since 1871. Present in over 30 countries with 40 R&D centres and 22 manufacturing sites, V. Mane Fils has built its growth and reputation on technological innovation, particularly in terms of natural extraction, encapsulation and flavouring solutions for complex formulations. Avendus Capital is a leading financial services firm which provides customized solutions in the areas of financial advisory, equity capital markets, wealth management and alternative asset management. The firm relies on its extensive track record, in-depth domain understanding and knowledge of the economic and regulatory environment, to offer research based solutions to its clients that include institutional investors, corporations and high net worth individuals/families. In recent years, Avendus Capital has consistently been ranked among the leading corporate finance advisors in India and has emerged as the advisor of choice for cross-border M&A deals, having closed around 40 cross-border transactions in the past 5 years. Avendus PE Investment Advisors manages funds raised from its investors by investing in public markets, while Avendus Wealth Management caters to investment advisory and portfolio management needs of Family offices and Ultra High Networth Individuals / families, spanning all asset classes. Headquartered in Mumbai, the firm has offices in New Delhi and Bangalore. Avendus Capital, Inc (US) and Avendus Capital (UK) Pvt. Ltd. located in New York and London respectively are wholly owned subsidiaries offering M&A and Private Equity syndication services to clients in the respective regions. Avendus Capital, Inc. (US) also provides wealth management services to clients in select jurisdictions in USA.